With the holidays just ahead, the Professional Animal Care Certification Council (PACCC) offers these top tips for pet parents who will be traveling and need to arrange for pet care for their furry family members. PACCC is on a pet safety mission through independent testing and certification for pet care providers, such as pet boarding facility staff and pet sitters, to help pet parents determine the best, safest care for their pets. Professionals who pass PACCC’s stringent testing, which reflects a professional’s broad base knowledge of animal care, receive a 3-year certification that must be maintained through continuing education. Don’t wait until the last minute to book your pet care. Whether at a boarding facility or with a pet sitter, pet care should be arranged at least three to four weeks in advance. If you know your travel plans earlier than that, then arrange your pet care as soon as you know. Educate yourself about your pet care provider. Check reviews. Ask about and verify all certifications. Make sure your pet care provider is fully qualified to care for your pet not only when things are going smoothly, but also in emergencies. Get yourself and your pet familiar with new surroundings. If you are using away-care, ask for a tour of the lodging and, if possible, bring your pet at that time. Even better, do a one-night trial stay before leaving your pet for the holidays so it won’t be an entirely new environment. Make sure your pet is up to date on all shots. Recommended dates range from one month to one week in advance, but the upshot on shots is make sure it gets done. Update and confirm all of your emergency contacts and veterinarian information. An additional tip is to have your credit card on file with your veterinarian should a serious emergency arise. Provide the usual medicine and food. Staying consistent saves one big stressor for your pet and helps prevent upset tummies. Make sure you provide more than enough to cover your stay and any unexpected short delays. Bring along something from home that your pet likes. If you are using away-care, familiar items can help your pet relax. Maybe it’s an item that has your natural scent on it or a favorite toy. But don’t overdo it. You don’t need to bring everything but the kitchen sink. 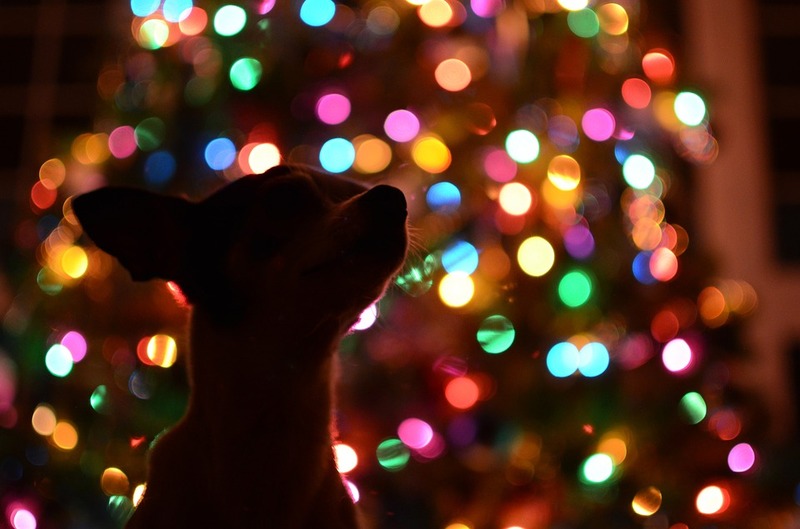 Get a good idea of pet care cost and make it part of your budget for the holidays. Keep in mind that “you get what you pay for” so if the well-being of your pet is a priority, then expect to pay for that. Including pet care helps prevent “over budget” holiday surprises. Stay calm and try to not exhibit anxiety when it’s time for you to depart. Your stress is detectable and can lead to additional stress for your pet. Focus on your happy return and reunion. Be upfront and honest about medical conditions and level of care needed. Professional, trained, certified pet care providers are prepared to care for your pet. They’ve seen and handled it all. Let them be the best and most prepared provider they can be by giving them all of the information they truly need to know about your pet. BONUS TIP! Maybe you won’t be away for the holidays, but you will be hosting a holiday bash (or two). Consider overnight away-care while your home is crowded and bustling with revelers or, perhaps, pre-party daycare while you rush about making party preparations. You can bring home a pet who had an enjoyable day of playing or pampering who will be ready for the party, too. The Professional Animal Care Certification Council was founded to bring independent certification to the pet care services industry, an important step for a rapidly growing, easy to enter industry frequently damaged by news reports of serious pet accidents and deaths. For more information on PACCC and roster of currently certified professionals, visit www.paccert.org.